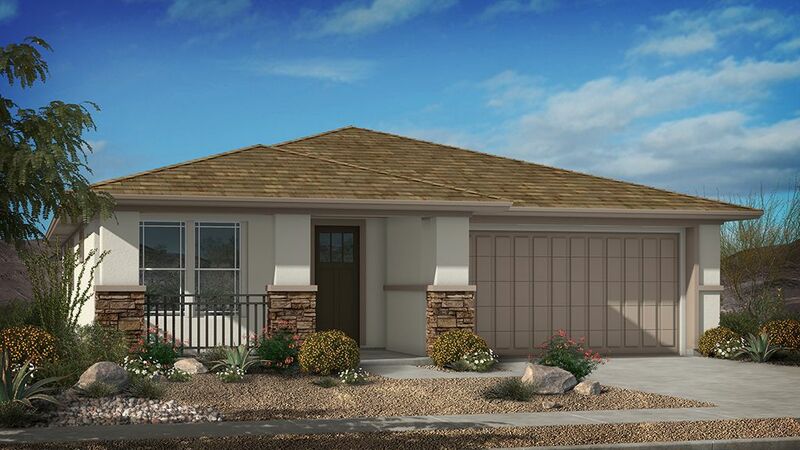 Set in the beautiful destination community of Eastmark in East Mesa, Taylor Morrison’s Endeavor Collection at Eastmark will offer access to an amenity-rich lifestyle. Taylor Morrison’s Endeavor Collection features seven distinctive floorplans that offer unique designs and desirable features like open-concept living spaces, elegant master suites and three to five bedrooms. With homes that range in size from approximately 1,950 to 3,500 square feet, these one- and two-story homes are designed for today’s homebuyer with beautiful architectural and design features for contemporary living in a master-planned community that’s renowned for its lifestyle. The Mark, Eastmarks’ Visitor and Community Center, offers a one-of-a-kind community experience at The Bus Stop. This resident-only community enter includes family-friendly indoor recreation with skee ball, foosball and pool tables, a full-size bus outfitted with booth seating, a giant scrabble wall, a toddler play area, cozy spots for lounging, and more. Outside, the fun continues with a 4,000 sq. ft. pool, a 560 sq. ft. toddler pool, and grilling areas set under shade sails. Eastmark Great Park includes a splash pad, an event pavilion, acres of green space and The Orange Monster, a super play structure designed by kids that takes up almost half an acre for an amazing playtime experience kids are sure to remember for years to come. Taylor Morrison is widely recognized as one of the top homebuilders in North America. The company is committed to the highest quality construction standards, excellence in design, and establishing a partnership between builder and homebuyer that results in the complete satisfaction of each and every customer. Pay Less for Two Years on Your New Home in Endeavor at Eastmark with Our 2-1 Buydown OfferGo ahead and start packing your boxes.